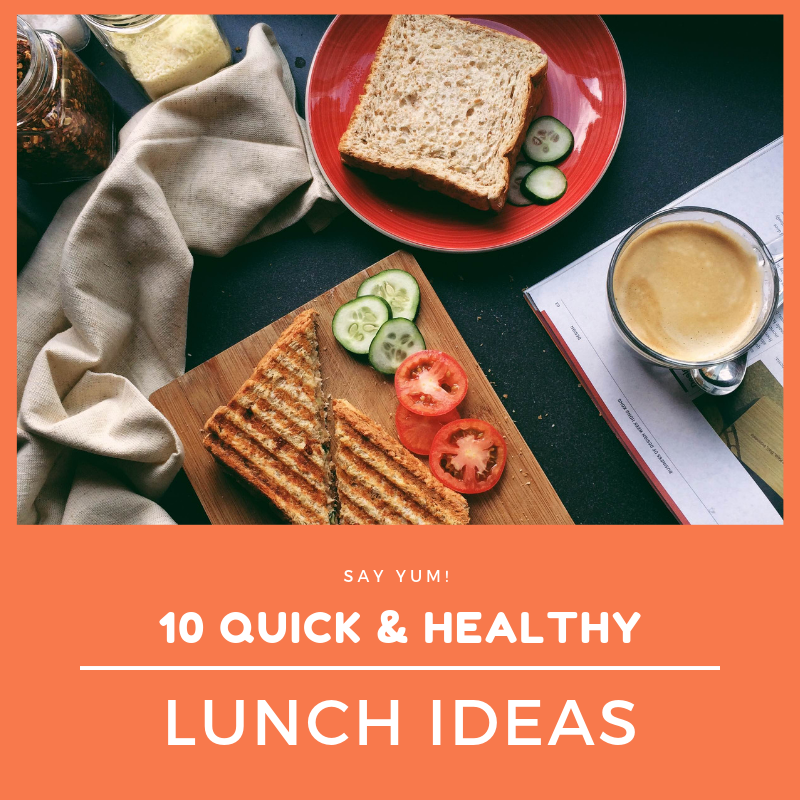 These lunch ideas are fast, delicious, and…absolutely guilt-free. In no particular order, here are some of my favorites. 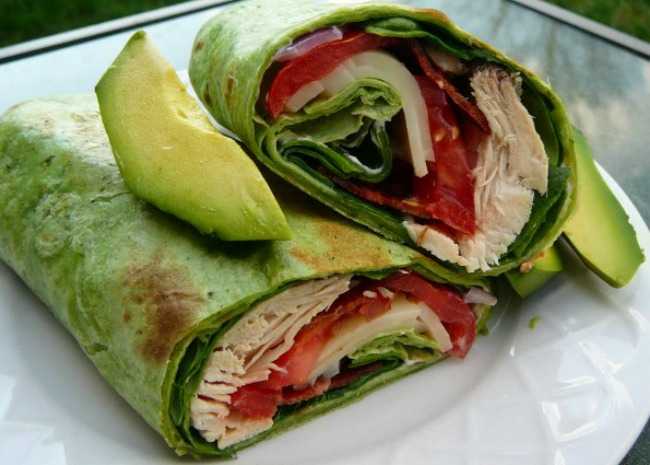 For example: The secret ingredient is cottage cheese — an awesome low-fat source of protein. First of all, I know everyone is jumping on the cauliflower rice trend, but here me out. It’s seriously good! And it’s about one-fourth of the carbohydrates of traditional rice. 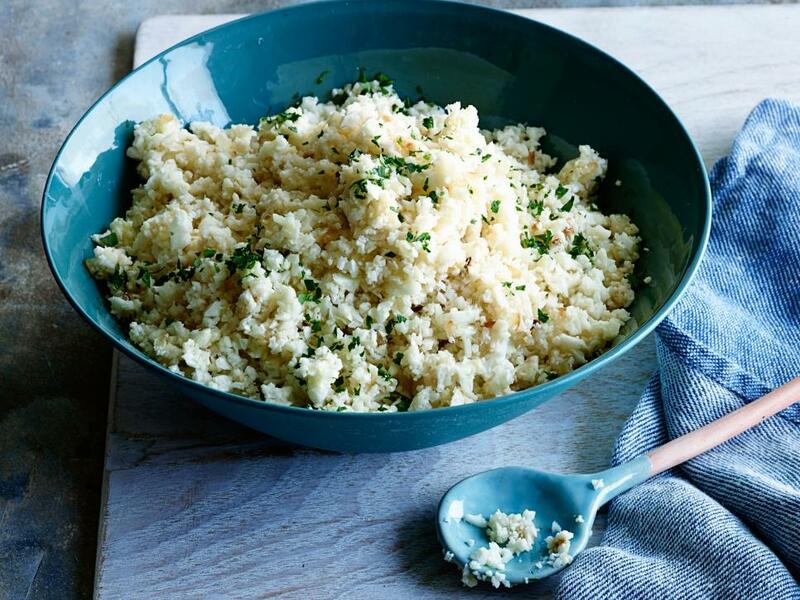 Once you see how easy it is to make this dish at home you’ll never go back to traditional rice again. 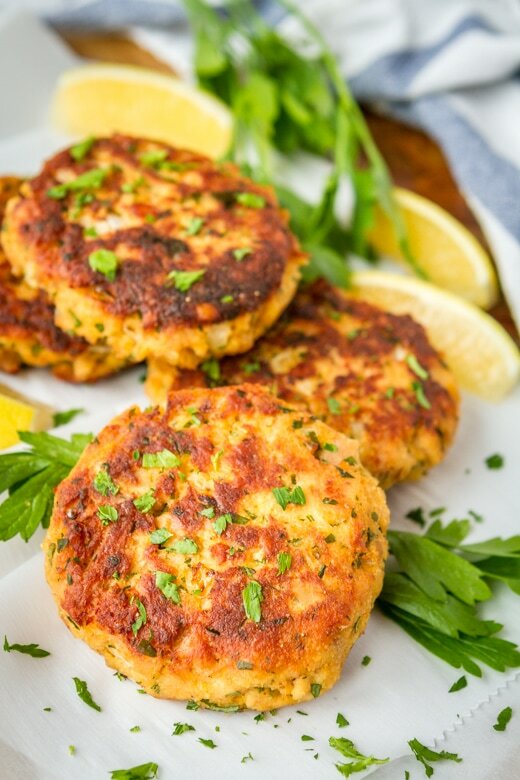 This tasty riff on crab cakes adds some oomph to omega-3 rich pouched tuna. I use old-fashioned rolled oats in place of breadcrumbs to sneak in some whole grains. Plus, may I recommend drizzling just a little All-Purpose Tahini Dressing? Delicious. Five ingredients, 3 minutes to cook, and 2 minutes to prepare. Five ingredients may be all that you need to make the perfect healthy soup to take to your lunch break. 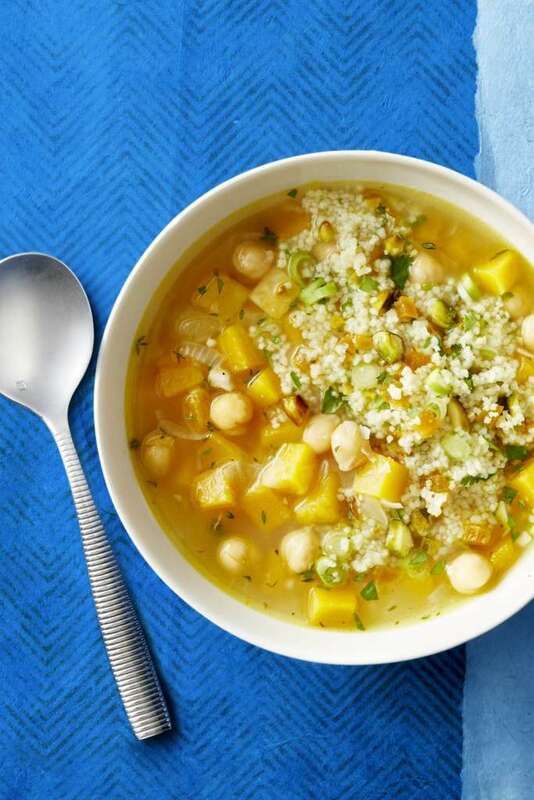 Quinoa has a very mild flavor and works well with chickpeas and any other delicious ingredients. 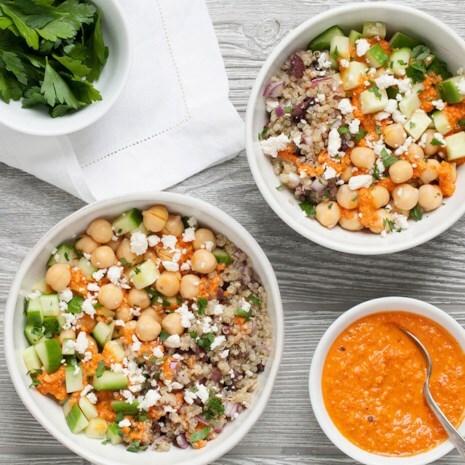 Featuring plenty of plant-based protein, you can whip up a batch of these Mediterranean meals and pack in containers with lids. Then stash in the fridge for easy, healthy grab & go lunches all week long. Leftover cooked chicken in your fridge? Here’s a great lunch idea using simple homemade chipotle mayonnaise sauce that gives it some kick. And you know that I’m a sucker for avocados. Yes, you heard that right. 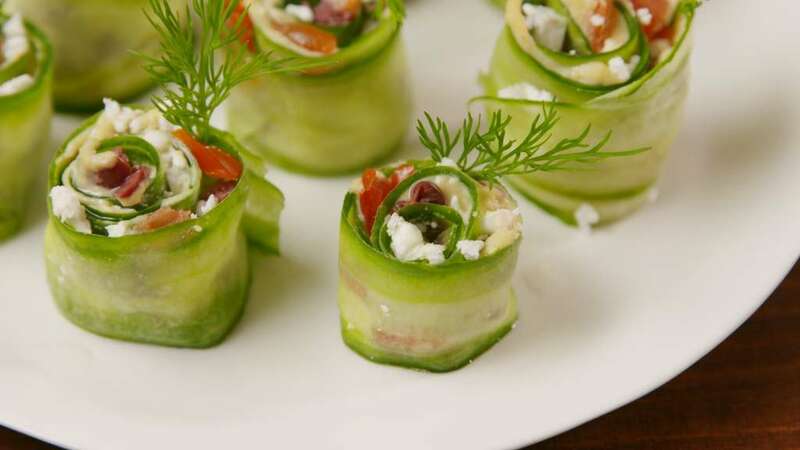 And prep time in only ten minutes means this unique dish packs quite the punch for your lunch time fix. Plus, I”m always a sucker for anything hummus. 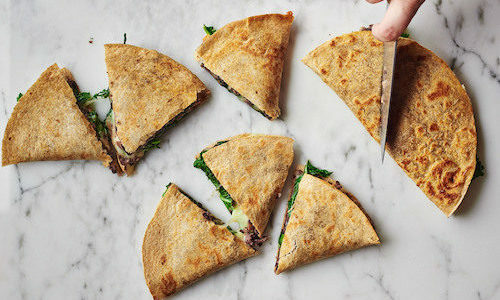 A quick, cheesy (oh hey, protein) quesadilla with all of the flavors you love plus a special treat: greens! The recipe calls for nutrient-dense broccoli, but kale or spinach would totally work, too. 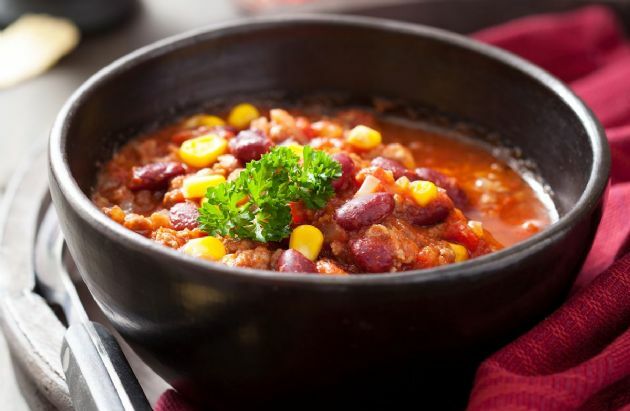 This is the perfect winter time soup. With its creamy, decadent texture and delicious scent you will fall in love with this recipe — and so will your co-workers. 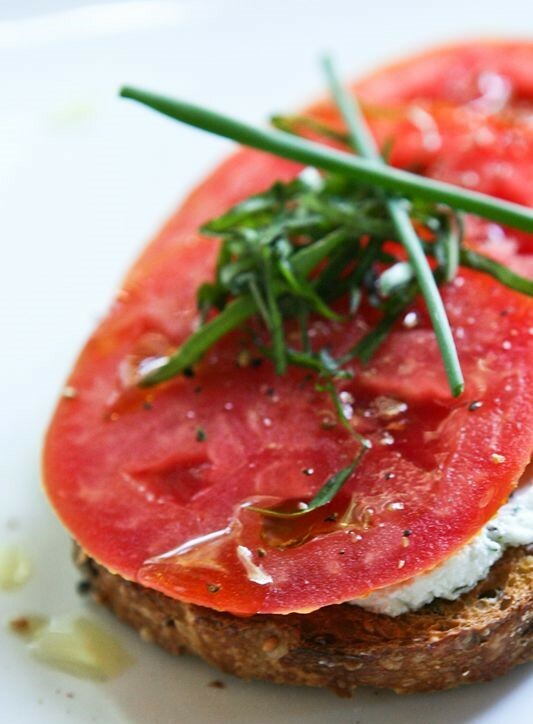 Why not spice up your traditional salad? 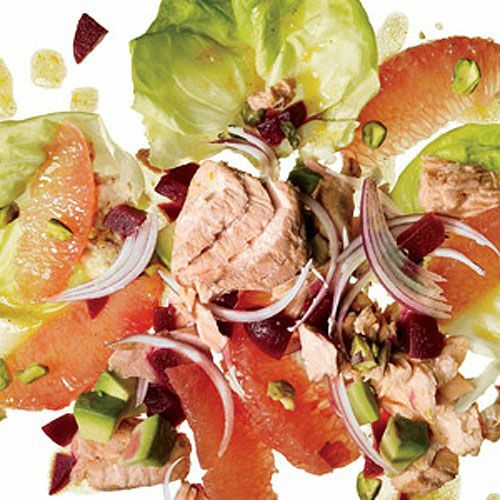 This simple recipe uses canned salmon dressed up with avocados, grapefruit, onions, beets, and pistachios over a bed of Bibb lettuce.